Since I started my craft blog and Etsy shop, I am all about giving beautiful handmade gifts, and making fun and functional items for my family. My husband likes to think of himself as old fashioned- his favorite thing to do in the world is read the Wall Street Journal on Saturdays and drink British tea in his own full service. The one thing he was missing was a good old fashioned shave soap and brush! As I recently ordered a bunch of soapmaking supplies from Brambleberry (I am in no way affiliated with them, but I love their stuff! 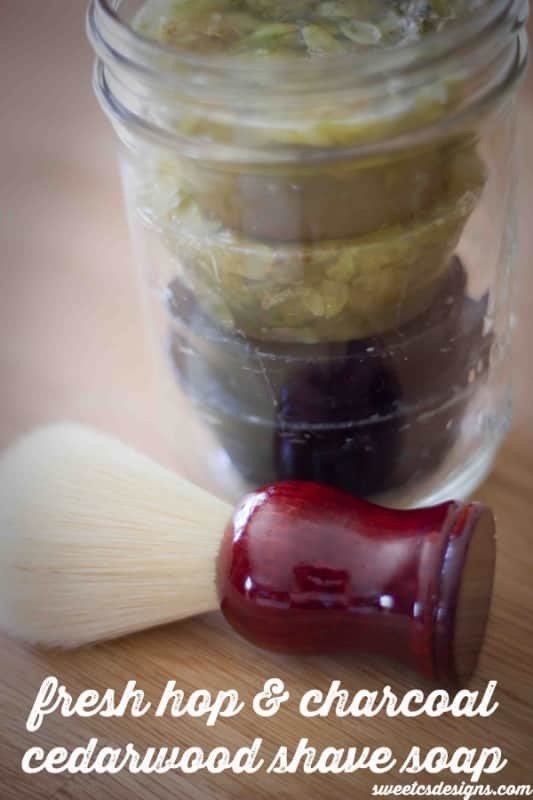 ), I decided to make my husband some little soaps so he could try out a good, old-fashioned shave. Since I am pregnant, and a total soap-making newbie, I didn’t want to mess with lye and the safety requirements for a cold process soap. Good thing for me- melt and pour soap is totally easy, and with different oils, clays, and micas, your can make it completely unique and fun! 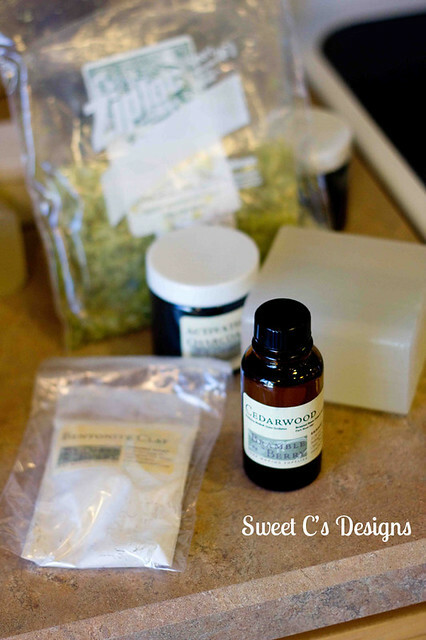 Here’s how I made some wonderful Cedarwood soaps- one with fresh hops, and one with activated charcoal! These make wonderful gifts for Christmas, for your husband, for your father, for office mates- any man you’d like to give a nice thoughtful gift for (and not have to spend a fortune on). As an extra little bonus, I ordered Luke a badger bristle brush off of Amazon.com for under $15. Best part is, this is a really quick and easy gift to make, and you can make a lot in a short amount of time! First, I started with a glycerin shave soap base, cedarwood essential oil, fresh hops (you can buy these at a homebrew store), two tablespoons of bentonite clay (it helps provide slip for the razors), and some activated charcoal. First, melt your soap. I made a quick double boiler out of two pans. You can also microwave the soap, but I like the double boiler method. 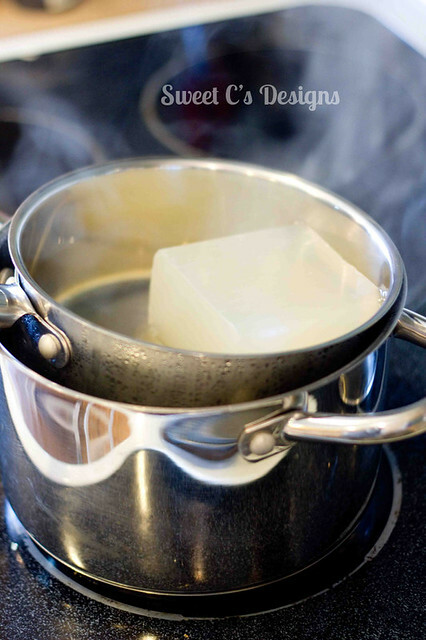 When the soap is fully liquid, drop in the two tablespoons of clay and remove from heat. Next, add a few drops of essential oil (start with a few, and you can build up- but you don’t want it to be too strong!) and your hops, or your charcoal (I melted separate bases for each as the charcoal turns the soap jet black, and the hops wouldn’t show up well in it). Stir until fully mixed. Next, I poured the soaps into muffin pans. Let the soap set for a few hours- you can speed it up by popping it in a freezer. When it is set, pop them out of the muffin pans (it might take a couple of hard thumps to get them to break free), and you’re done! I love how the charcoal soaps look like little hockey pucks. We love hockey, and so do a lot of my husband’s friends. 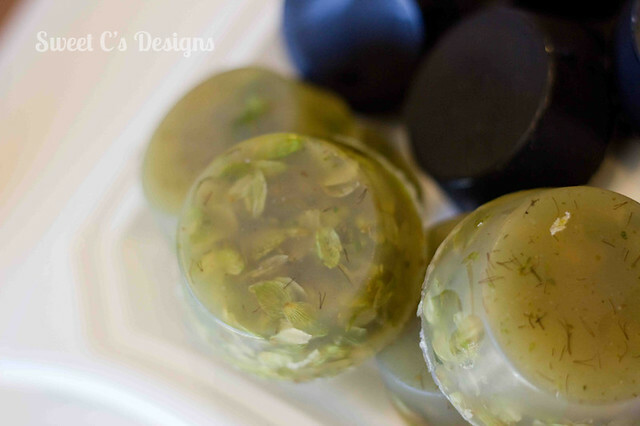 The hop soaps look lovely- although the hop smell wasn’t as strong as my husband and I would like. Next time I think I will boil them with a little water and let it reduce for a while so the oil is released. Besides being an ingredient in many craft beers, hops have strong antibiotic properties, and smell lovely. You can wrap these in tissue, in newspaper, or even package them up in old cigar boxes. I stacked them in a mason jar and tied the boar brush around it to give to my husband- and it looked really cute! We will be giving these to little man’s grandpas and my husband’s friends/co-workers this year! If you’re looking for some fun handmade gifts this year, and are on a budget- you’re in luck! I am currently offering FREE SHIPPING to blog readers until November! 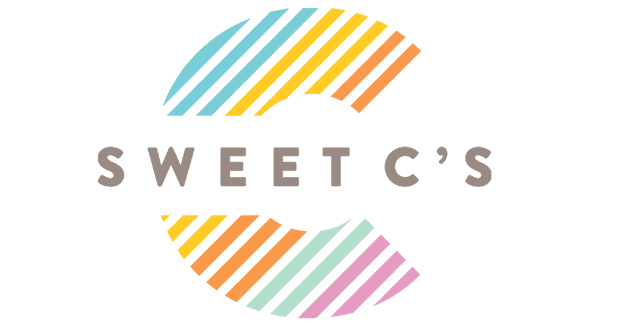 Enter the code shipfree during checkout to get yourself something sweet! If you are here from a link party, please take a look around and enter one of my fabulous giveaways! Wow- that’s a ton of great information! Thanks so much for sharing. I will admit I am TOTALLY still intimidated by lye, but I will check all that out. Thank you, thank you thank you! How much glycerin soap for this recipe? One pound? did you use a suspension soap M&P base? I found your tutorial for this wonderful gift on Pinterest. 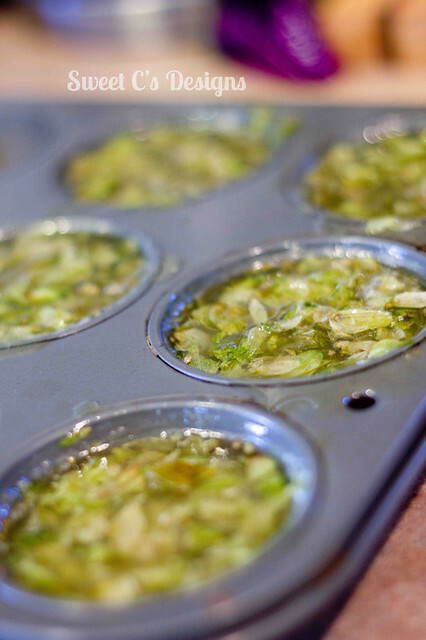 Question – How many muffin tin-size soaps will one glycerin soap base make? Just trying to figure out how much of each ingredient to purchase. —Remember; Rattle Snake Bites and Lightning Strikes, Hurricanes and Birthing Pains are all natural. I found you from Pinterest and I’m interested in making some of these for Christmas presents myself. I do have a question though, do you put both the hops AND charcoal into the soap or are they for different batches/types? Great idea! Thanks so much for linking up with us at Show & Share! Can’t wait to see you again this Wednesday! Wow! What a great idea!! It’s been my long time goal to learn how to make soap from scratch, and since I am finally NOT pregnant, I am hoping to start in the new year. I can’t believe how hard it is to find lye here in Alberta though…so weird! Anyhow, this looks like such a great and fun idea…I’m sure your hubby loved it (and you for making it)!